Are you looking for PTZ dome cameras for your home or business? Or, you want to know how to set up PTZ presets on your PTZ dome IP cameras? Keep reading to find the best and affordable PTZ speed dome cameras, and you can learn to set up preset and tour on PTZ dome security cameras by following the detailed guide below. A pan-tilt-zoom (PTZ) dome camera is a dome-styled security camera with pan & tilt features and zooming capacity. With only one PTZ dome IP camera, you are able to monitor a large open area, like your driveway, parking lots and front doors, in great details. Meanwhile, PTZ dome CCTV cameras with super high resolution are able to deliver crystal and vivid images without image distortion when the cameras zoom in. While 1080p (2MP) PTZ dome cameras with IR still take big market shares, some top-rated security camera brands have already launched their 5MP versions that deliver improved images and videos. At the same time, 4K (8MP) PTZ high-speed dome cameras are also springing up in the market, catering to customers’ need of sharper images and clearer details. So is the PTZ dome camera price way too high? Well, that’s a big misunderstanding. 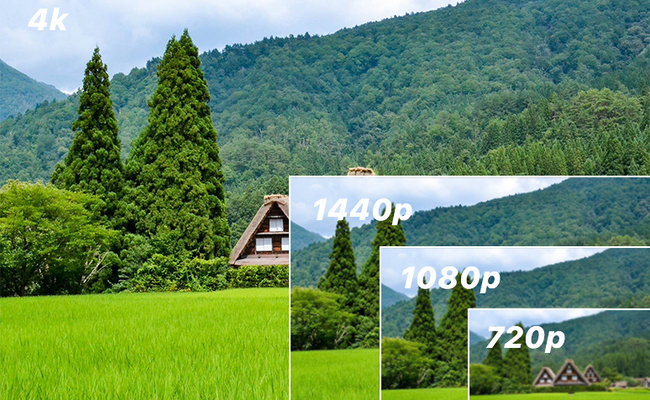 As the PTZ technology matures, PTZ dome IP camera price has become more budget-friendly to average consumers. Qualified PTZ dome security cameras are available at around $100 – $500 and you may even get better deals with holiday sales and discounts. With the benefits of PTZ dome CCTV cameras listed as followed, you will come to know whether they are worth your investment or not. As mentioned above, PTZ dome IP cameras come with endless pan & tilt, which enables them to monitor every corner in or outside your home and business. No blind spots and no intruders can slip through without your notice. Thanks to their dome shape, PTZ dome security cameras can be attached right under the ceiling and the eave, which makes them less noticeable in the outdoor environment. Aside from the pan & tilt feature, PTZ dome cameras are able to zoom in or out and capture vivid images with distinct details, while the recordings can be served as strong evidence if someone breaks into your house or properties. PTZ dome cameras are in fact more cost-effective than fixed lens security cameras. Comparing to fixed lens bullet or dome IP cameras, HD PTZ dome cameras are capable to cover wider areas and thus, no extra security cameras will be added to monitor your backyards, driveways or other open areas. PTZ dome cameras allow you to set up the preset positions for your desired monitoring areas, for example, heavy foot traffic places like a front door, storefronts and crossroads. Besides, by arranging these presets in a specific order and interval of time, you can make the PTZ dome IP cameras to do the tour or patrol for you. Further Reading: You may read this post to learn more benefits of PTZ dome security cameras. In front of a sea of options, it can be a chore for you to pick out the best PTZ dome cameras. In this section, we have offered you 2 best and affordable PTZ dome security cameras based on the price and key features. 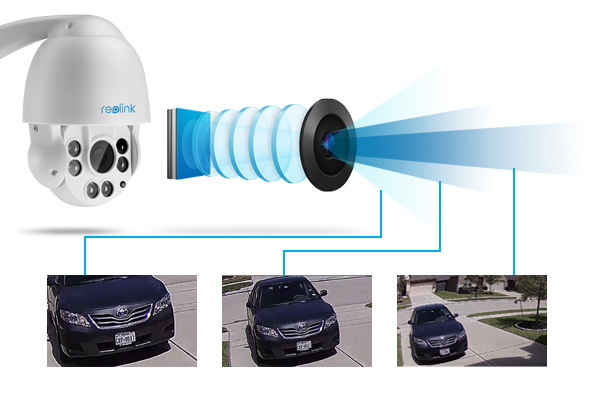 Reolink RLC-423 is one of the best-selling PTZ high-speed dome cameras. Featuring 360° pan & 90° tilt and 4X zoom-in, it is an ideal PTZ dome camera to cover large outdoor areas. Here is a video sample demonstrating its fast rotation and the wide coverage. As reference, you also take the professional reviews from VueVille.com into account. 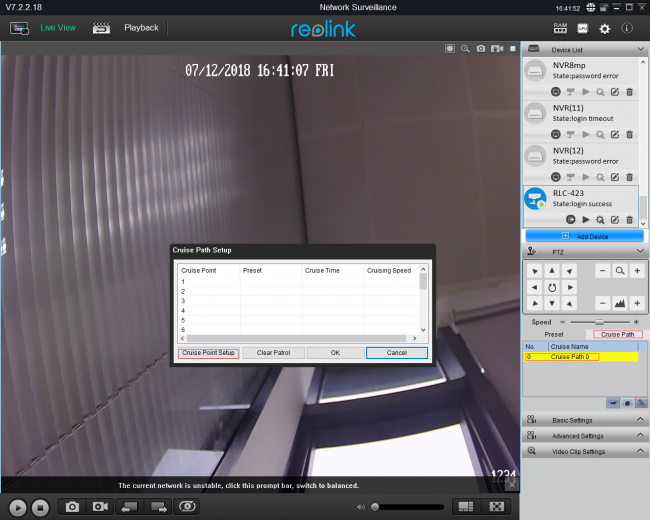 If you prefer mini PTZ dome cameras or PTZ dome CCTV cameras for indoor use only, Reolink C2 Pro is a good option with a small size and the plug & play feature. 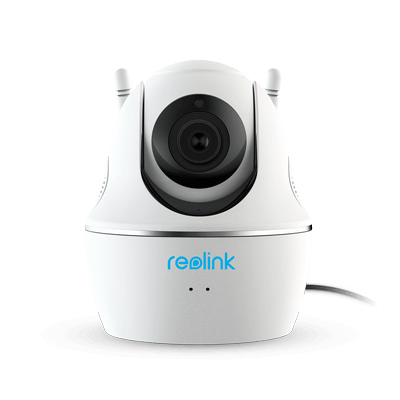 As the upgraded version of Reolink C1 Pro, C2 Pro comes with new and more advance features: 5MP images and 3X optical zoom. 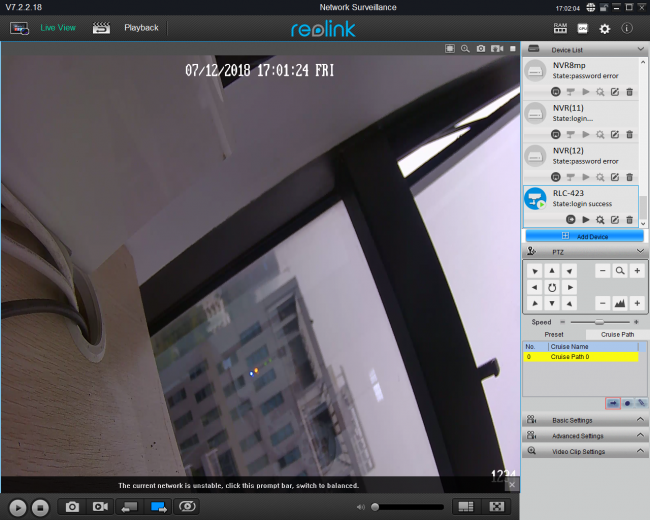 Thanks to its small size, this mini PTZ dome cameras can be placed anywhere inside your home and office and you may even hide Reolink C2 Pro in your bookshelves or cabinets to make it less noticeable. 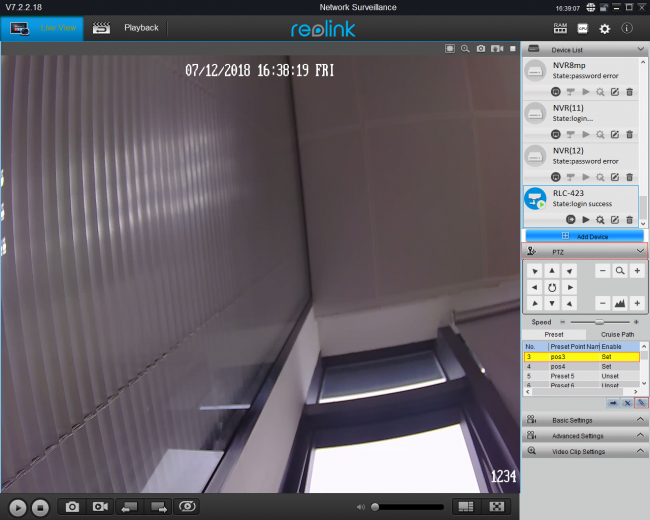 Verdict: Reolink RLC-423 is a good security option for large outdoor or open areas while Reolink C2 Pro is a perfect indoor PTZ dome camera to monitor the interior areas of your home and office. Before running PTZ dome cameras, you need to configure the cameras properly. With the detailed guide below, you are able to set up the PTZ dome network cameras in a flash by yourselves. To make sure that PTZ dome CCTV cameras won’t be blocked during rotation, you are supposed to install the cameras in places with enough height and open view. For example, places under the eave or ceiling are perfect security camera installation spots while the corners are less wanted locations. Nowadays, more PTZ dome cameras come with plug & play feature so that it won’t be a time-sponge task for you to install the cameras on your own. If you find it hard to route the cables inside or outside your home, you may check here to learn how to run security camera wires. Next, you need to pick out some critical spots to make preparation for the preset and tour settings. Such critical spots include front doors, corridors and other places with heavy foot traffic. With the installation finished, you can adjust settings of PTZ dome cameras including recording schedule, preset settings and cruise setup. 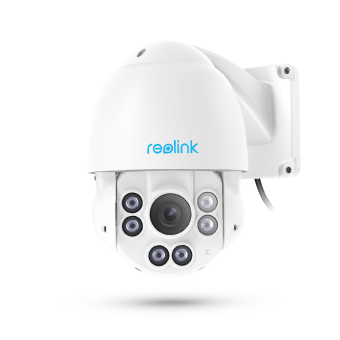 Below we will take Reolink RLC-423 as an example and show you how to set up presets and patrol/ cruise mode on PTZ dome cameras. #1. Launch Reolink Client, add PTZ dome cameras to the software and click the PTZ settings. #2. Locate your preset monitoring spots with the PTZ controller.Click Preset 1 and the pencil-like button to save the changing. #3. Repeat the procedure above to set up more preset spots. #4. Click Cruise Path and Cruise Path 0 and the pencil-like button again to setup PTZ dome camera cruise. #5. Choose Cruise Point 0 and go to Cruise Point Setup. 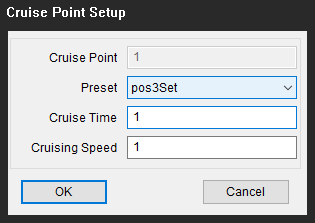 Click Cruise Point Setup to select preset spots you have set, input Cruise Time and Cruising Speed and click OK to save the settings. Note: The cruise time refers to how long the PTZ dome cameras will stay when they move to a preset point and the time unit is a second. #6. Repeat the last step to configure other cruise points on PTZ dome security cameras. #7. Finish the setting and click the arrow-like button to run the cruise. Here is a complete video tutorial on how to set up preset, patrol and tour on PTZ high-speed dome cameras. You may encounter these bothering issues when you apply PTZ dome cameras for your home and business. To ease your concern, we have offered you some feasible solutions as below. Issue 1. Why Won’t My PTZ Dome IP Camera Pan Left and Right? If your PTZ dome CCTV cameras can’t pan or tilt, check the power supply first. Without sufficient electrical power, these security cameras won’t work or perform their full capacity. The distance between the power outlets and the PTZ dome cameras also requires your inspection since the excessive distance will lead to power drop. Moreover, you need to confirm that your PTZ outdoor dome cameras are working with a good Internet connection and the right specific settings like protocol and IP address. Issue 2. My PTZ Speed Dome Camera Keeps Moving on Its Own. Are There Any Solutions? Some users also ask why their PTZ dome camera faces the wrong direction after reboot. In fact, the solutions to these two issues are quite similar. You may take a closer look at the PTZ settings to check if you have enabled automatic rotation on boot or disabled the preset settings. If yes, you may set up preset spots or even cruise mode by following the steps in section 4. Also remember to hit save after changing the settings and you may test if the settings work by rebooting the PTZ dome security cameras. It is your turn now! If you have any questions on PTZ dome camera issues, please feel free to leave them in the comment below and we would love to help. This entry was posted in Buyer's Guide and tagged pan & tilt, Pan Tilt IP Cameras, preset on PTZ security cameras, PTZ preset and tour.